According to The Manchester Evening News, Manchester United manager Jose Mourinho has made Juventus left-back his number one target this summer. Jose Mourinho is keen to clear out the dead wood from his squad and strengthen at the back in this summer, as he aims to challenge Manchester City for the Premier League title next season. Luke Shaw, Matteo Darmian and Daley Blind are among the defenders expected to leave Old Trafford during the close season. All three players have failed to establish themselves at left-back, with Ashley Young filling in for most the season. While Young has acquitted himself extremely well, playing his way into the England squad, Mourinho will be looking to sign an established left-back this summer and the Portuguese manager has prioritised signing Brazilian star Sandro as a replacement for left-back Shaw. Transfermarkt value the Brazillian at £45million. 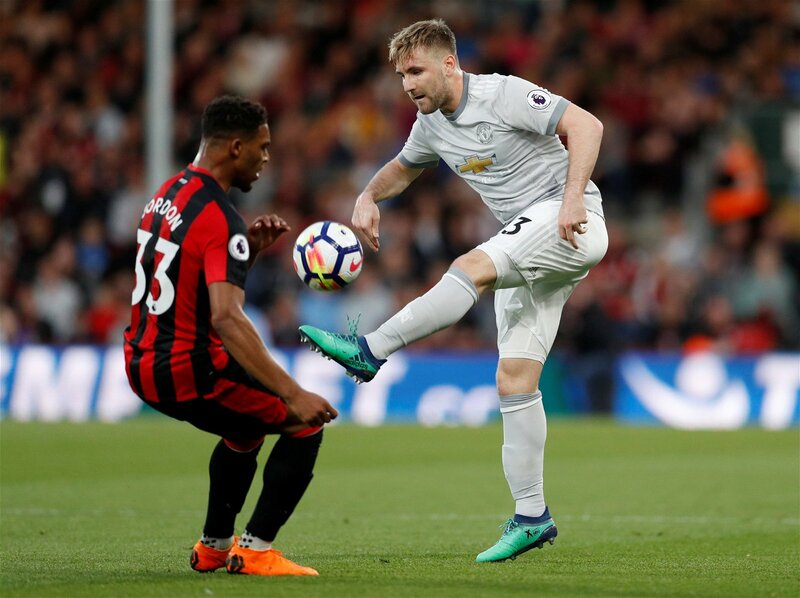 Why Luke Shaw never worked out? Luke Shaw joined Man United from Southampton for £27m in 2014, making him one of the world’s most expensive teenagers. He never fulfilled the potential that made Man United fork out such a large sum. He has had a torrid time with injuries, the worst of which was a broken leg in a 2015 Europa League against PSV Eindhoven. He spent almost a year on the sidelines and has struggled to reach his full potential since. In fairness, Mourinho never gave him a consistent run in the team. However, when he did play he never looked solid. He looked slow, lethargic and out of shape. Only the player and manager know what really went wrong but it is clear the Shaw did not do enough in training or in games to fulfil is potential. Whether it was an attitude problem or confidence issue it is a shame for both Shaw and Man United that it never worked out. Man United will most likely cut their losses and sell Shaw this summer. In Alex Sandro, they will be signing a left back who has been an integral part of Juve’s solid defence. Despite being in an out of the team this team, in 2016/17, Sandro was part of a defence that did not concede a goal until the semi-finals of the Champions League. Sandro created more chances (50 to 44), completed more dribbles (49 to 43), made more interceptions (57 to 40) and won more duels (207 to 122) than fellow Brazillian Marcelo last year, despite playing three fewer league games. He is the archetypal modern fullback – dangerous going forward and solid defensively. He can not only play as a full-back but also as a left wing-back. If Man United sell Darmain, Blind and Shaw, they might be able to balance the books. In reality £45 million for a player is nothing in today’s market and Mourinho is right to make the Brazillian his number one target this summer.